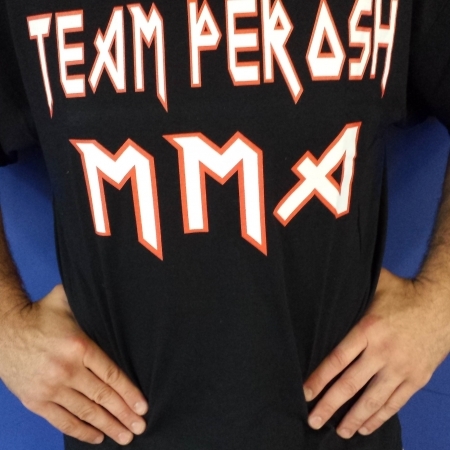 Get all of your Team Perosh Merchandise and MMA, BJJ and Muay Thai Kickboxing clothes and equipment from our online shop. At the moment there are two Team Perosh t-shirt designs you can purchase. We will be adding more items in the near future. Any items out of stock will soon be replenished!